Are we interested in the substrates? How Should We Approach These Problems? Or just observe them in the wild! interactions of limited number of "active agents"
Role of a leader and evolutionary selections? Are order-disorder transition indeed discontinuous? Marchetti, M. Cristina, et al. "Hydrodynamics of soft active matter." Reviews of Modern Physics 85.3 (2013): 1143. Baskaran, Aparna, and M. Cristina Marchetti. "Nonequilibrium statistical mechanics of self-propelled hard rods." Journal of Statistical Mechanics: Theory and Experiment 2010.04 (2010): P04019. Klymko, Katherine, Dibyendu Mandal, and Kranthi K. Mandadapu. "Statistical mechanics of transport processes in active fluids: Equations of hydrodynamics." The Journal of chemical physics 147.19 (2017): 194109. Sanchez, Tim, et al. "Spontaneous motion in hierarchically assembled active matter." Nature 491.7424 (2012): 431. Palacci, Jeremie, et al. "Living crystals of light-activated colloidal surfers." Science (2013): 1230020. Narayan, Vijay, Sriram Ramaswamy, and Narayanan Menon. "Long-lived giant number fluctuations in a swarming granular nematic." Science 317.5834 (2007): 105-108. Galajda, Peter, et al. 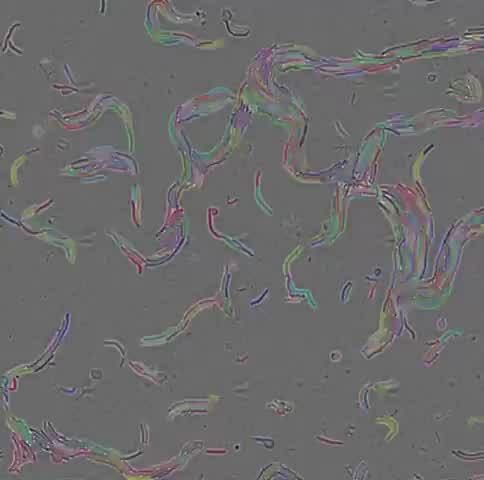 "A wall of funnels concentrates swimming bacteria." Journal of bacteriology 189.23 (2007): 8704-8707. Alonso-Matilla, R., and D. Saintillan. "Microfluidic flow actuation using magnetoactive suspensions." EPL (Europhysics Letters) 121.2 (2018): 24002.